Winter has fully arrived, and with it we have harsher weather that makes spending time outside more difficult. Earlier sunsets and darker nights are combined with much lower temperatures and wet and windy weather, which can be a nightmare combination. 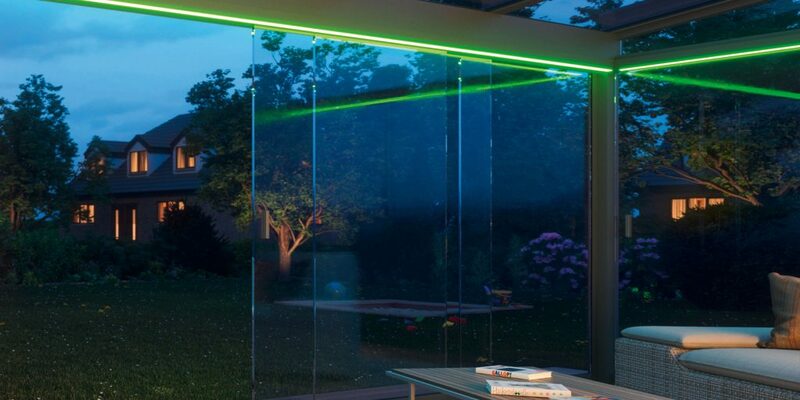 Luckily companies such as Markilux, Vortex and Weinor are one step ahead and have a number of different accessories that can be used in conjunction with their products to help you still enjoy your time outdoors, at low energy costs. For wind protection, both Markilux and Weinor provide side screens, helping you to enjoy your outside space without being buffetted by the winds, whilst Erhardt Markisen, Gibus and Weinor all provide glass panels and doors for their veranda and 90° pergola systems. The Markulux 790 and Weinor Paravento are fabric horizontal blinds that extend from vertical aluminium cases, allowing them to be neatly tucked away when not needed. The main benefit of these products is that as well as protecting from rain or wind, they also provide shading and privacy. Erhardt Markisen, Gibus and Weinor all provide high quality glass elements, that can both slide and fold open, or fixed elements that provide 24/7 protection. These of course don’t provide shading, however certain Gibus systems can also offer blinds to provide the best of both worlds. If heating is the main issue, then a whole host of different companies offer solutions to accompany their systems, as well as third party options that offer excellent performance. Vortex, the makers of large commercial umbrellas, offer infrared heaters, designed to be ideal for use in the catering or hospitality industry, when outside space is at a premium and the systems themselves are more likely to be used at different times of the year. Infrared technology saves a lot of energy as opposed to conventional heaters, and due to it’s ability to transfer heat directly to surfaces rather than air, it also requires almost no heat up time at all, proving instant comfort whilst saving money. For this reason, Markilux and Weinor also offer similar heaters for their systems. The Markilux heaters are designed to work with any awning, and can even be combined with lighting in the shape of the Markilux Hotspot. Weinor, meanwhile, provide the Tempura. the Tempura is available in two different models with varying design styles. Gibus also provide a 4000W bar heater, whilst Erhardt Markisen offer both infrared heaters and a unique item called the Erhardt Heatscope Vision. 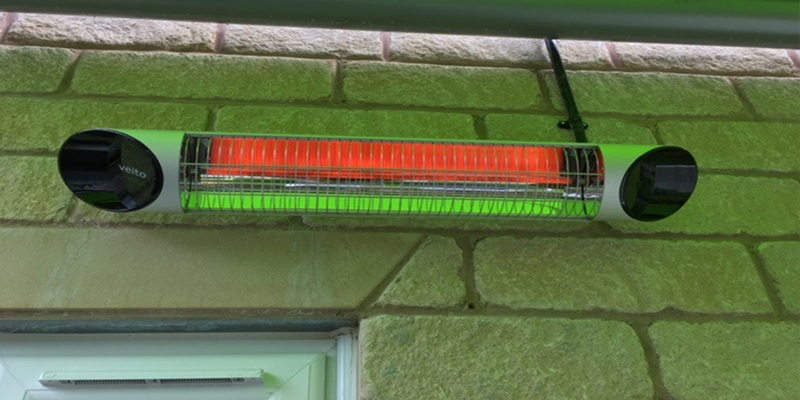 The Heatscope Vision is a panel that provides as much heat as possible whilst providing minimal light intrusion, ideal for creating an atmosphere. Finally, third party company Veito also provide heaters, with an impressive range to suit every application. 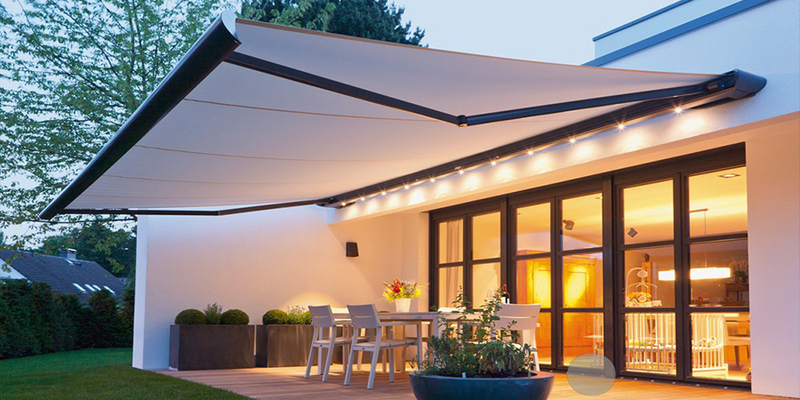 In business for roughly 40 years, Veito and Samson Awnings work together to supply six different models with different strengths and uses. for instance the Veito Blade S2500 is a beautifully designed wall and ceiling mounted heater mounted by brackets that is ideal for use under awnings or verandas, whilst the Veito CH1800RE is a self supporting vertical heater ideal for use in glass rooms. When it comes to Lighting, there are a range of LED options from companies such as Erhardt, Gibus, Markilux, Vortex, Weinor. LED lighting is useful because it conserves energy as opposed to normal lighting options and is also much brighter. Erhardt’s Light Bar attaches to the wall and provides light without looking out of place due to it’s modern design, whilst LED spot lights can be incorporated into the roof of any Erhardt veranda. Weinor also offer the Lux system which combines different LED systems, and many of their awnings come with LED lights integrated as standard. Markilux offer the spotline bar with integrated spotlights, as well as the Hotspot system, which is a bar containing both LED spotlights and infrared heaters. 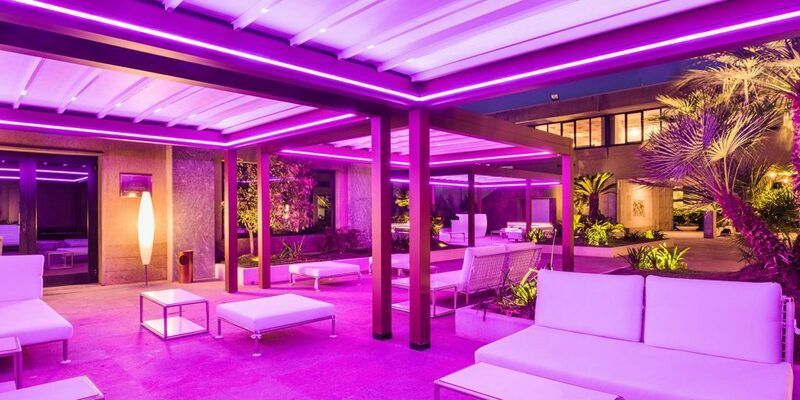 Gibus also offer bar lights and spot lights, but as well as Weinor, they also offer RGB led strip lighting that runs around the inside perimeter of the system, providing stunning visuals that can be changed at the touch of a button.